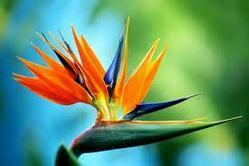 We bring forth for our clients a wide assortment of Bird of Paradise in different species and colors. Cultivated and grown using qualitative fertilizers in most hygienic conditions, the entire range is sourced from most authentic vendors of the market. The entire range is stringently tested for insecticide-fungicide controlling chewing insects, sucking insects and various fungus diseases. These fresh flowers are marketed at pocket-friendly prices. Florist home delivery, stage decorators ,wedding planers. Florist for office arrangement,corporate flower supplier, back traps, fabric decorators, video coverage, photography etc.